Cambridge, 7th February 2017, Image fusion technology leader Spectral Edge, (http://www.spectraledge.co.uk/) today announced that Rhodri Thomas has been appointed as CEO to drive the next stage of the company’s development. He joins from London-based predictive keyboard technology pioneer SwiftKey, which was acquired by Microsoft in April 2016. His appointment follows Spectral Edge’s oversubscribed £1.5 million 2016 funding round. 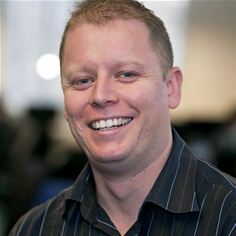 As Chief Commercial Officer of SwiftKey, Rhodri oversaw significant company growth and was responsible for all business development activities including relationships with major mobile platforms, other apps and technology partners, as well as establishing the company’s San Francisco Bay Area presence. Prior to SwiftKey Rhodri held a number of product management and business development roles at companies including Unisys, Convergys, Texperts and kgb. Spun out of the University of East Anglia (UEA) Colour Lab, Spectral Edge aims to improve the viewing experience of images, videos and TV content by delivering the perfect picture for each individual viewer. This is done with patented image fusion technology which can combine visible and invisible information (such as infrared and thermal) in real-time on consumer devices, to enhance detail, aid visual accessibility, and create ever more beautiful pictures. Based in the company’s Cambridge office, Rhodri will use his proven track record in developing and growing start-up organisations, along with deep knowledge and contacts in the mobile market to accelerate Spectral Edge’s expansion. Rhodri will be working closely with Christopher Cytera, COO, to drive the next stage of the company’s growth. The Spectral Edge business model is based on licensing its intellectual property and technology to manufacturers and consumer electronics companies, enabling them to differentiate their products from rivals through its advanced imaging innovation.